ATTENTION: We have Axis bucks ready to harvest NOW!!. Click map to enlarge or click HERE for interactive version of map. 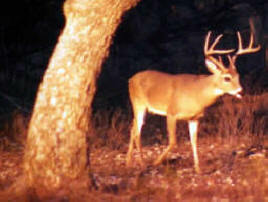 Come and shoot bucks NOW!! 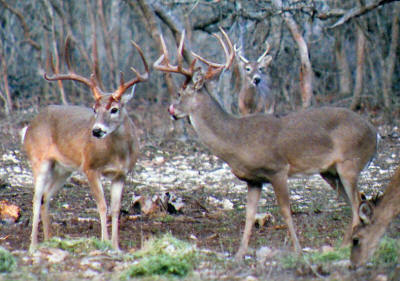 They're out of velvet with 8-12 Axis bucks up to 32 inches ready to go. NOW is the time to make your reservation. 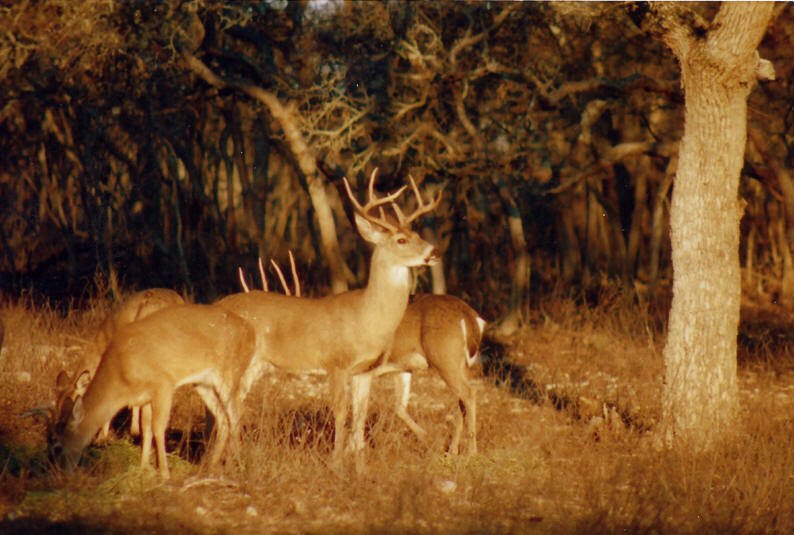 The J & R Moellendorf Ranch is very proud to offer trophy white-tailed deer, management buck, and also axis buck hunting centrally located in the beautiful Texas Hill Country. 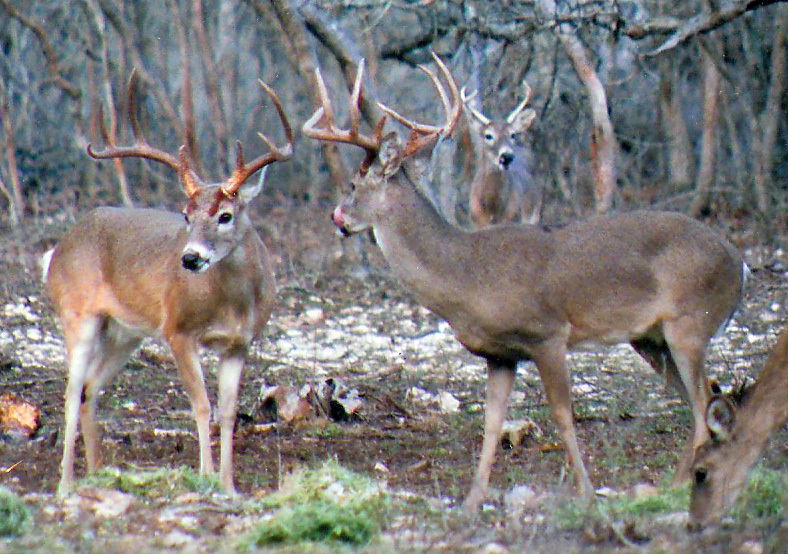 Excellent Texas Hill Country white-tailed deer hunting. We offer guided hunting and also allow harvesting of one does with a hunt to help control the doe herd. Though we have only been hunting since 2003 when we completed an 8-foot 2-inch tall game fence area and the property, we have been working hard to manage and control our deer herd. 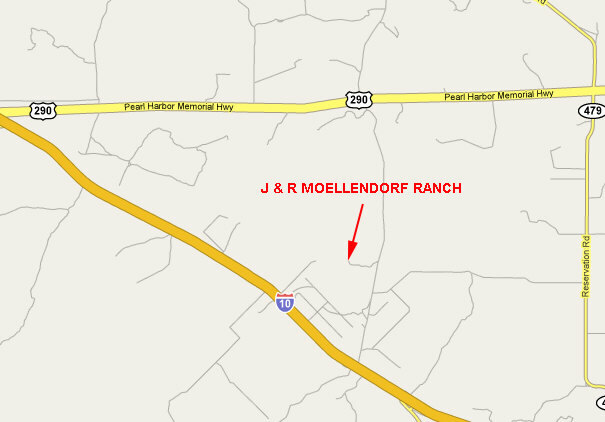 The J & R Moellendorf Ranch is conveniently located in Kerr County, TX, just 40 miles west of Fredericksburg, TX, 16 miles west of Harper, TX, and 21 miles north of Kerrville, TX. Two miles off interstate 10. 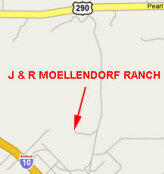 The J & R Moellendorf Ranch is mostly easy-going flat country with some easy to navigate hills. 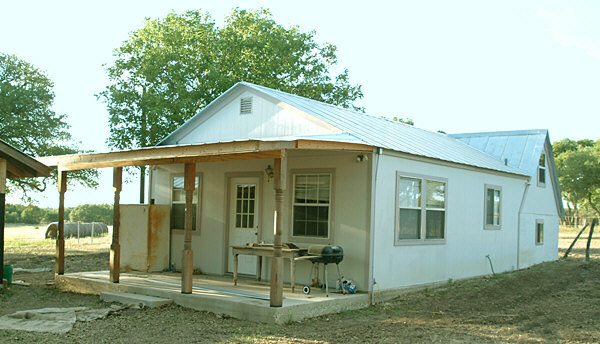 The ranch vegetation consists of plentiful shin oak, live oak, post oak, briars, and cedar with a few cactus and AN ABUNDANCE OF WILDLIFE. We have white-tailed deer, Rio Grande turkey, native birds, small mammals, and axis deer that freely roam the ranch. Bring the family with you on your hunt. Let them go on a photograph hunt and take outdoor photographs of the white-tailed deer, squirrels, armadillos, birds, and numerous species of other native wildlife. We have excellent hunting provisions. 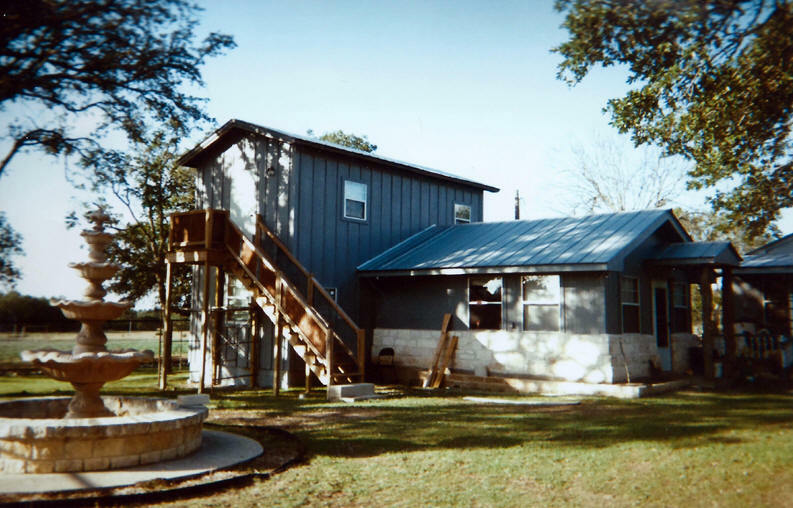 We offer a good old fashioned family hunting opportunity and can accommodate up to six persons for an evening stay. All the conveniences of home plus, when permissible, a good old campfire. 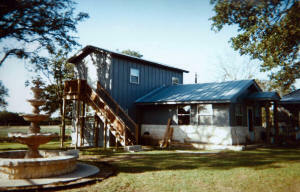 We offer affordable hunts of 3 days and 2 nights as well as accommodations. (Price can be found on the Pricing and Rates tab (Food not included). an abundance of white-tailed deer. 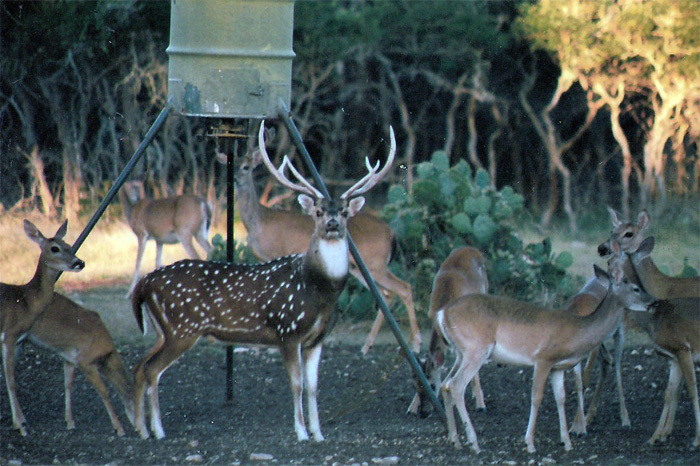 We have an intense supplemental feeding program going to enhance the quality of mature bucks on the ranch. The deer are fed protein with mineral supplements to enhance antler growth, general health, and fawn production. 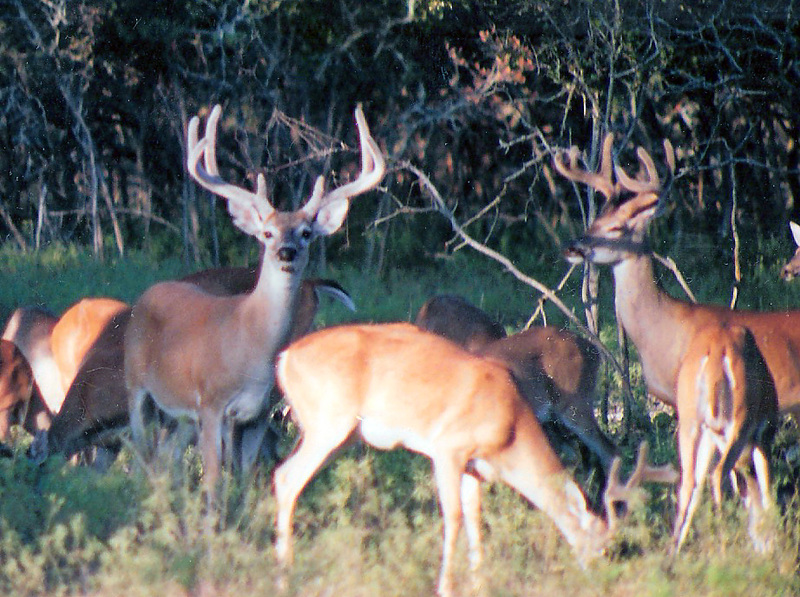 We also conduct doe harvests to control herd population, and management buck hunts to control genetics of the herd. We generally harvest management bucks each season as part of our game management program. 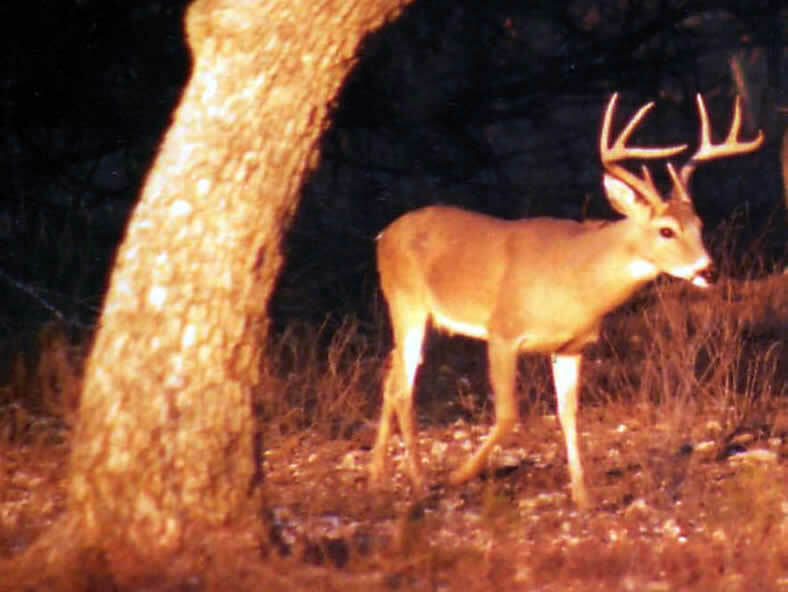 All hunts are guided and the guide will determine if the buck is to be harvested. 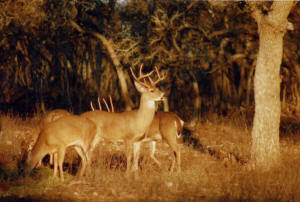 If you do not harvest a buck, there will be a hunting fee charged of $125.00 per day. Hunting prices and rates are listed on the Pricing and Rates tab. 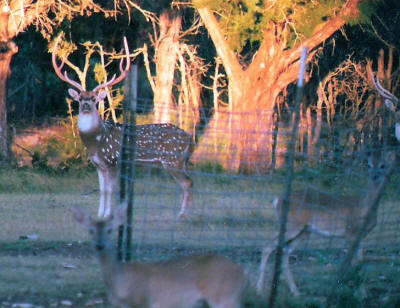 This Texas Hill Country white-tailed deer hunting site written, hosted, and maintained by HUEY Productions.